Humans are the most effective integrators and producers of information, directly and through the use of information-processing inventions. As these inventions become increasingly sophisticated, the substantive role of humans in processing information will tend toward capabilities that derive from our most complex cognitive processes, e.g., abstraction, creativity, and applied world knowledge. 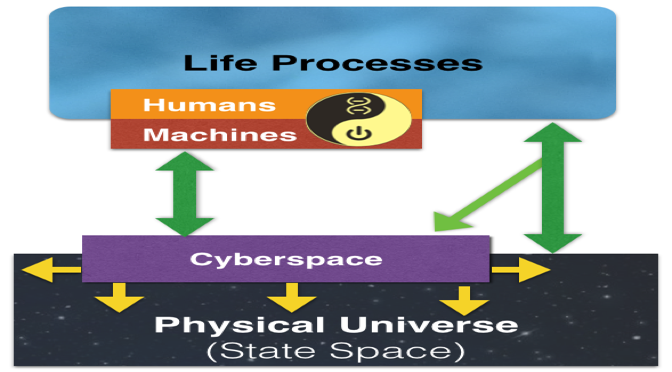 Through the advancement of human computation – methods that leverage the respective strengths of humans and machines in distributed information-processing systems – formerly discrete processes will combine synergistically into increasingly integrated and complex information processing systems. These new, collective systems will exhibit an unprecedented degree of predictive accuracy in modeling physical and techno-social processes, and may ultimately coalesce into a single unified predictive organism, with the capacity to address society’s most wicked problems and achieve planetary homeostasis.